Saturday is the memorial service for my dad who passed away on January 18th. He was the best father/grandfather in the whole world. He was so creative and could built or fix anything! He was a dairy farmer who farmed over 500 acres on the family farm as well as owning a sawmill. He was such a hard worker which Jillian and I carry on those traits today! I was so blessed to be his daughter. There have been several area farmers and friends in our community who have passed recently. God much have some awesome farm in heaven!!! Then God made a Farmer . . .
Jillian and I decided to do a memorial card for dad rather than have the funeral home print them ~ he was a special guy and needed special treatment! 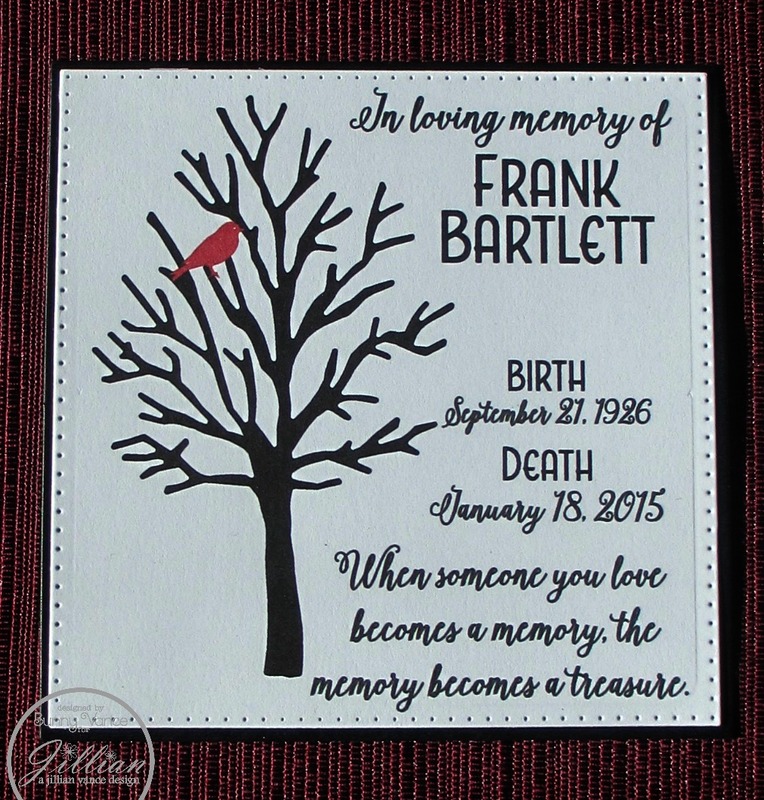 His features the Tranquil Tree Die and the red bird die cut from the Frosty Die Set. So I took that design and I decided to create a quick but elegant card, that you can produce several at one time, to send to the hurting. 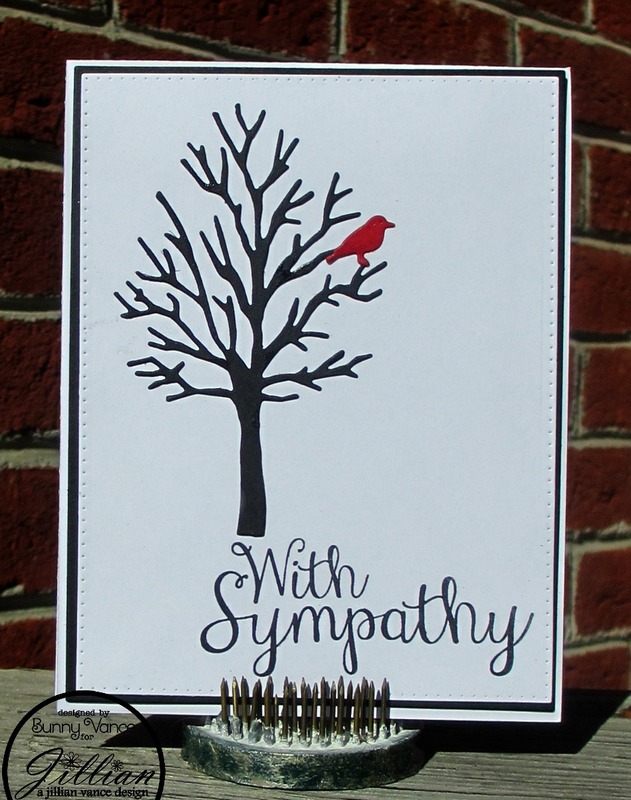 I have been so lax at sending out sympathy cards and only leaving words on the funeral home websites. But the many, many cards I have received this past week are so comforting to me. Saturday will be a very hard day on all of us as we celebrate his life. He lived a good and godly 88 years and we know he is in a glorious place, free from pain and suffering ~ and probably building something for someone! My sympathy on the passing of your father. I'm sure he's watching and smiling that you thought enough to make special programs. He'll be watching out for you. I know my husband watches out for me.